If you're always on the hunt for ways to spice up your messages, here's a fun way. 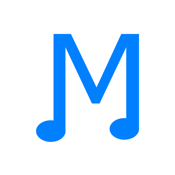 The Musicthat app is able to turn your words and characters into music. You will actually be able to create your own unique melody based on what you have typed. This app can be used on your iPod touch, iPad, and iPhone and actually works as a message app. When you send the musical message to your friends they will be able to decode it and enjoy the melody. Instead of sending your friends, family, and loved ones the same old boring typed messages, why not send them a unique musical melody instead? With this app you can type up to 100 characters in your message and each character becomes a music note. When these notes are strung together you have a melody, which in fact is actually a message. Turn around and send this melody to your recipient by Facebook, text, or email. Here’s the fun part: as long as your friend has the app as well they will be able to decode your message and find out exactly what you said. If they don’t have the app, they will still be able to hear the melody. This app has recently been updated to fix a bug that was occurring when users tried to decode messages using Apple Mail. The process should be smooth and simple now. The app has a five star rating from customers. Just a word to the wise: it requires iOS 7. I think it's worth pointing out the ease-of-use in this app. The user interface is incredibly simplistic and uncluttered. Just type in your text and tap on Musicthat to transform it to music. You will be able to hear the results before you send it. The app has integrated sharing options so you can send the message right from within it. When a person is decoding a message they will hear the music and then see the words appear on the screen. Although it’s very basic the entertainment value is there. It’s just a whole lot of fun sending these musical melodies back and forth between your friends and hearing just how different each message/word sounds. Of course in order to fully enjoy the app both you and the recipient need to have the app installed. The Musicthat app for your iPod touch, iPad, and iPhone is a really cute way to send messages to friends and family that will add a little music to their day.